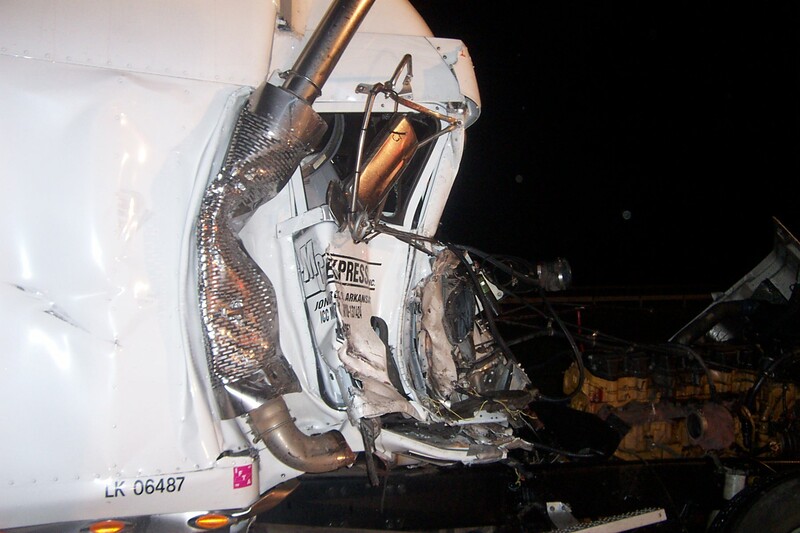 FISHKILL – At approximately 8:00pm on Monday Sept 8, 2003 The Rombout Fire Co was backing their rigs into quarters after returning from a call when a loud crash was heard just down the road. 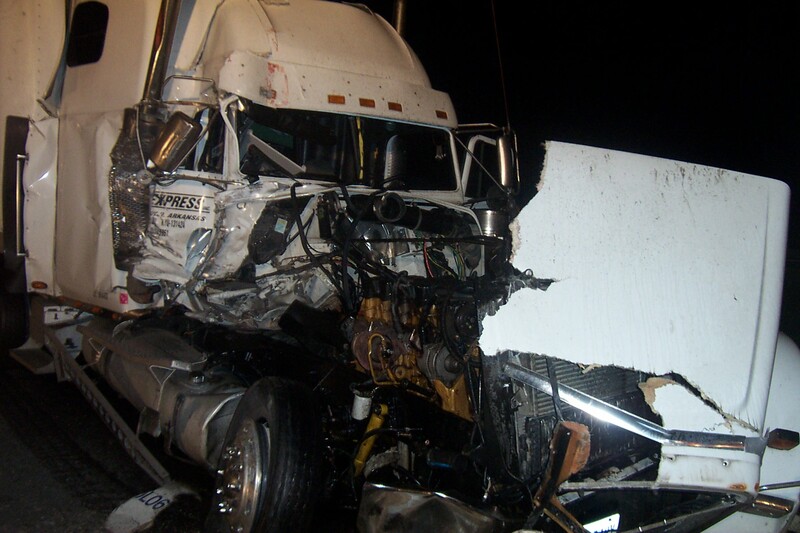 The firefighters quickly glanced towards the noise in time to see 2 tractor trailers crashing into each other and the guardrail on westbound Interstate 84. 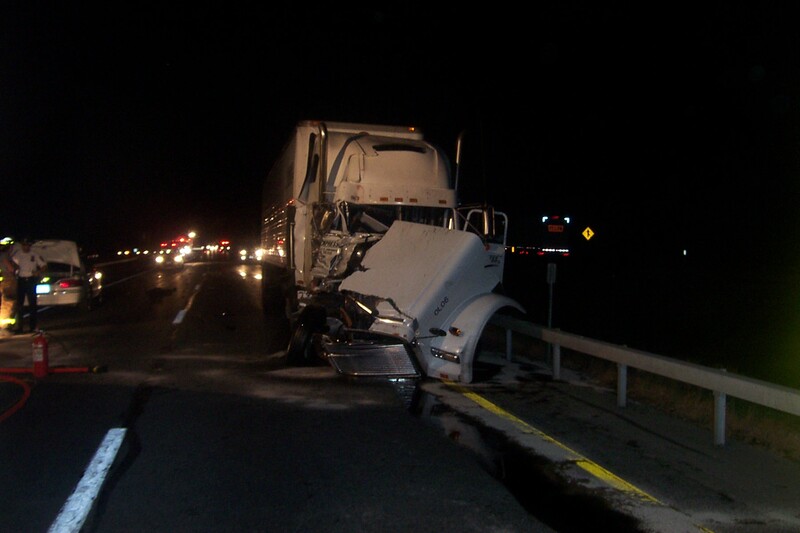 The Firefighters immediately advised Dutchess County 911 to put out a dispatch for the accident and that they were responding with an Engine and Heavy Rescue. 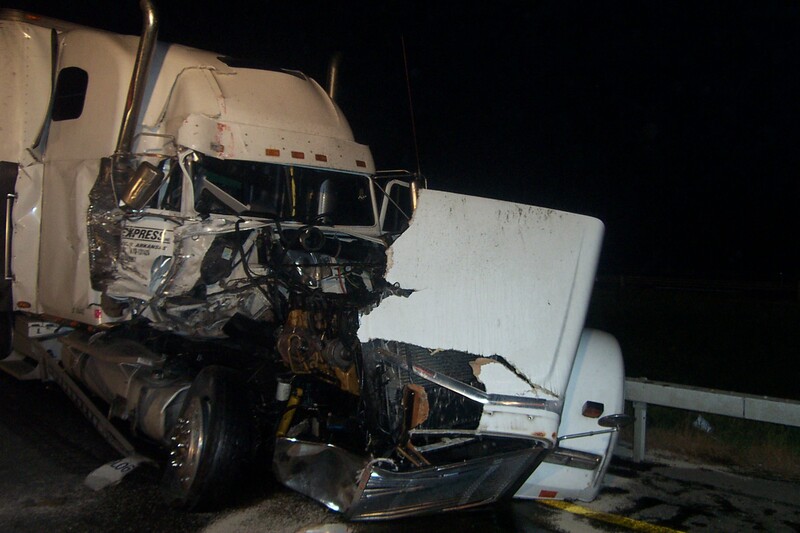 Upon arrival, firefighters, under the command of Chief Jeff Marino found a tractor trailer had driven into the rear of a slower moving tractor trailer causing serious damage to the cab. 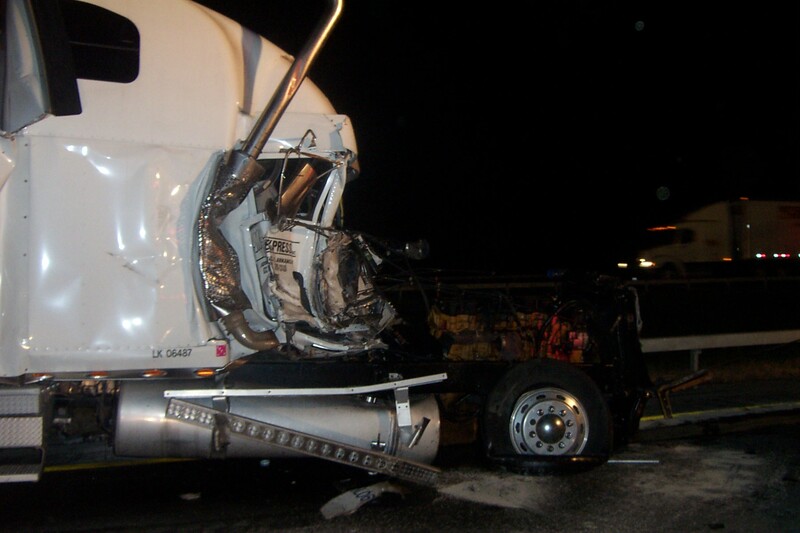 There was also a large diesel fuel, motor oil, and anti-freeze spill on the roadway. 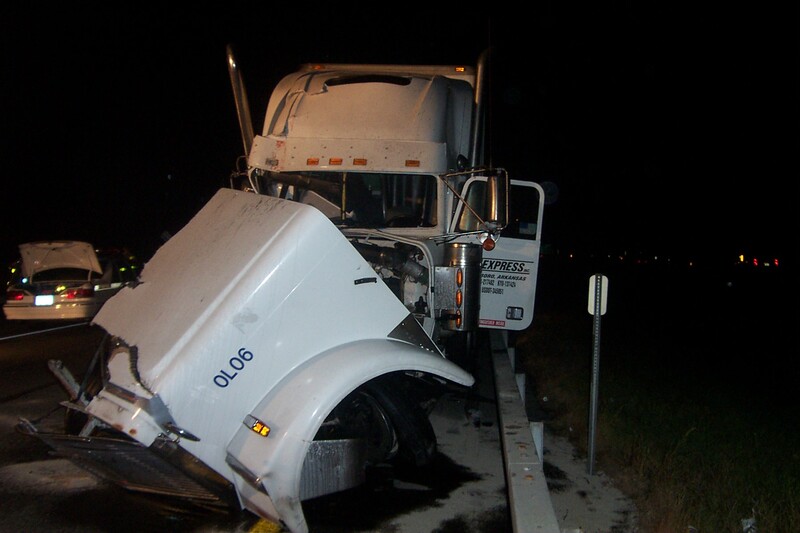 The driver suffered several non life-threatening injuries and was transported to the local trauma center via Alamo Ambulance after being helped out of the cab by Rombout firefighters. 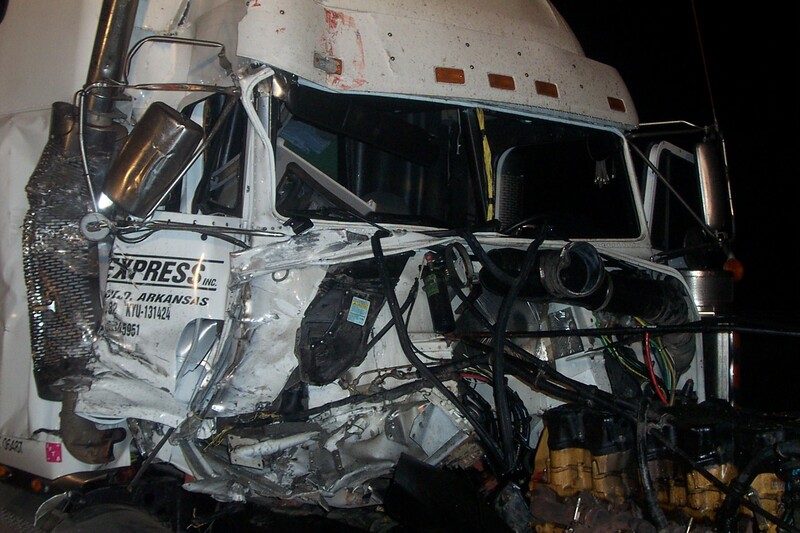 The passenger side of the cab was completely destroyed, but fortunately, there were no passengers in the cab at the time. 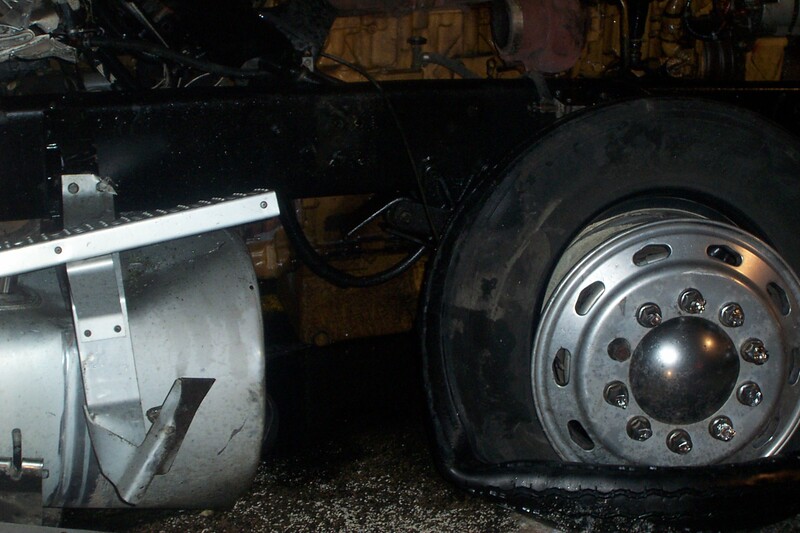 An additional dispatch was made for Rombout to respond with a Utility Truck and their Haz-Mat trailer to assist in the clean-up of the large fluid spill. 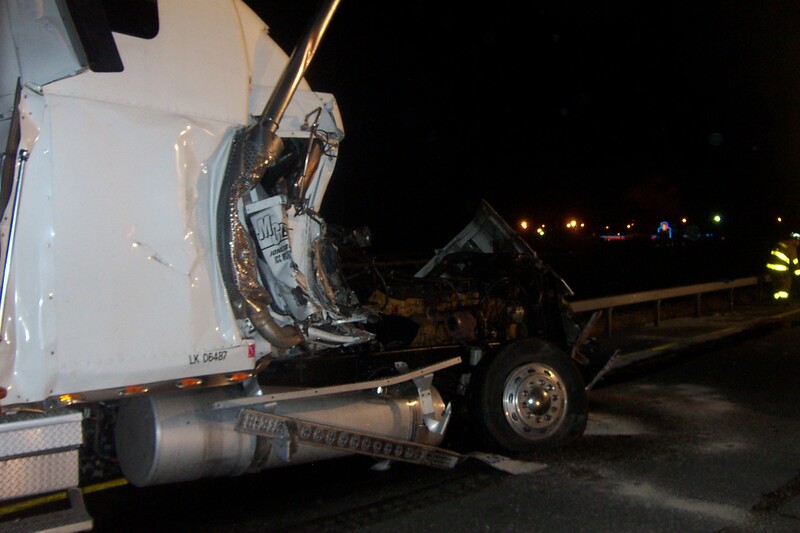 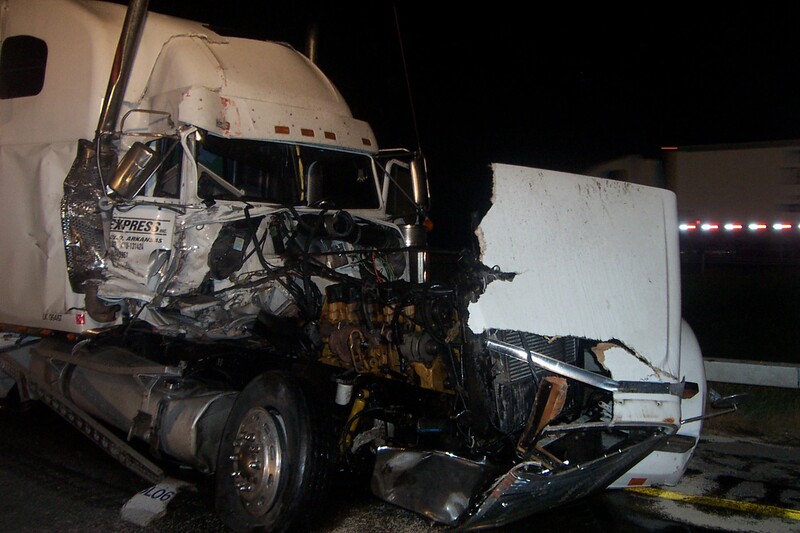 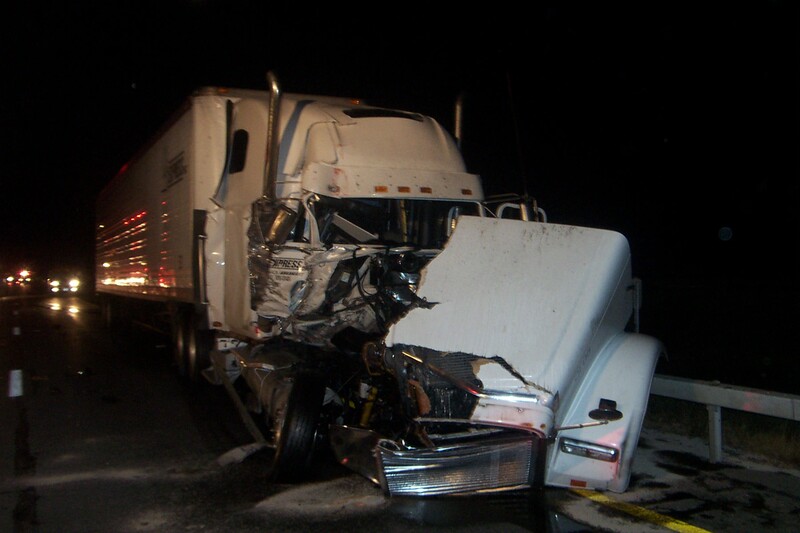 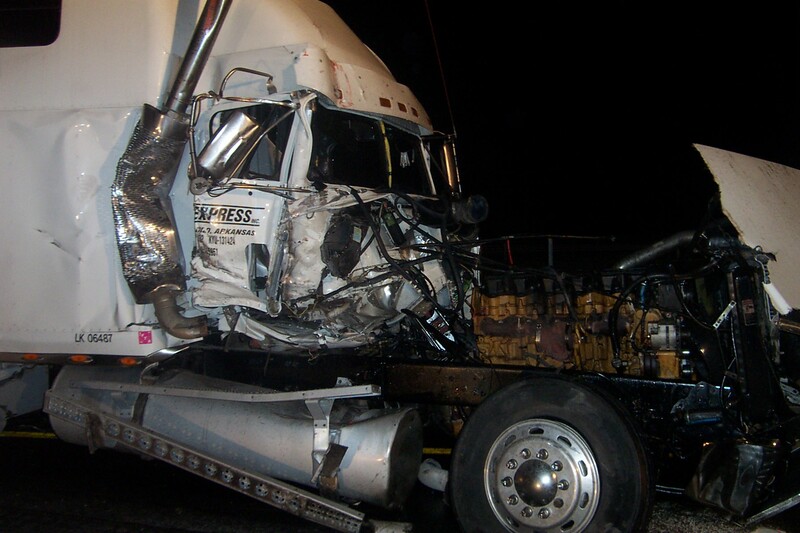 The driver of the slower moving tractor trailer was uninjured, and that vehicle suffered minor damage.